Bake the bugs out of your pinecones! 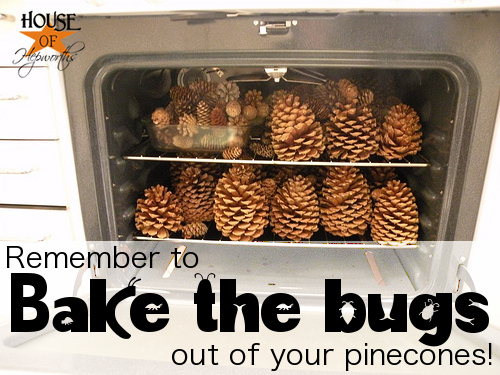 If you want to bring pinecones into your home, you need to bake the bugs out of them first! A month and a half ago (when I broke my rib snow boarding!) I found a bunch of awesome pine cones. Of course I had to bring a few home with me for some cute fall & winter decor! 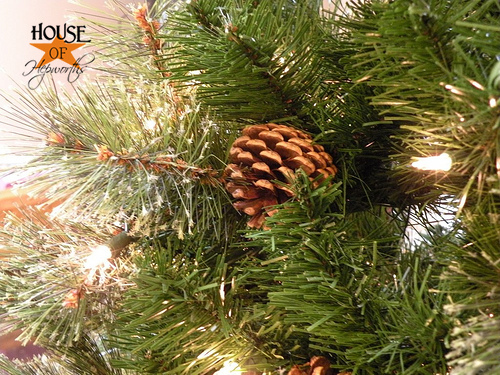 Do you realize if you bring pine cones from the outdoors inside to decorate with, your house may become infested with bugs? Eek! 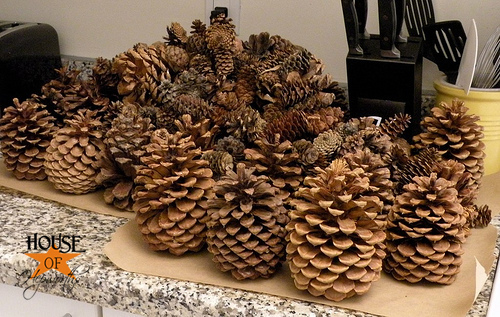 There’s a simple trick to de-bug your pine cones and make sure your home isn’t overrun with them. I’ll just alternate between the two for the duration of this post. I could Google it, but that would take an extra 3 seconds. Hey, it doesn’t take much to excite me, alright?! Give me some free pinecones and I’ll be giddy ’til summer. WHAT?!?! Are you serious? For real?! Don’t be messing with me Foxfunds because I do not joke about these kinds of things! Yes, I know that us Texan’s like to Texas-size everything, including cockroaches and scorpions. And ants. Big fat red fire ants. But still, I can kinda deal with bugs OUTSIDE. I cannot deal with bugs in.my.house. And especially in my pinecones! So I googled “baking pinecones” and found a tutorial on how to do it. Basically pre-heat your oven to 200 degrees and then put your pine cones in for 45 minutes. You were suppose to do only a rational amount of pinecones per bake session, but the thought of bugs sitting there breeding and hatching for one second longer gave me the heebie-geebies so badly that I just crammed all 200 pine cones in the oven at once. Oh, and also 45 minutes? Pfft! I needed to really kill every living organism so I decided that an hour and a half sounded better. Here’s what’s left after I burnt at least a 3rd of them. I guess I should have stuck with 45 minutes. I even enrolled K to help me. Is it just me or does this picture kinda remind you of those dog pictures where the dog’s head is huge and the body is really small? The moral of the story… IF you find any really awesome pine cones, or anything from NATURE you probably should bake the bugs out. So I’ve got the coolest most exciting Christmas… in May! news eveh! Okay, maybe not ever, but I’m totally excited none the less. I was strolling along through the parking garage of my complex and found the most awesome best thing sitting by the trash. There was even a note on it especially for me! Aw shucks, you shouldn’t have. Yes, my friends, you read that right. Sitting there for FREE! was a 7 1/2 ft slim cashmere pine pre-lit Christmas tree! It’s hard to see it, but in the top corner the tag says it’s from Target and it was $154.99. Some crazy stuck up Beverly Hills person threw away a hundred-fidy-four dollar tree. I grabbed the box right then and there and drug that sucker up to my apartment… where it sat… in my entry way for at least a month. Untouched. My poor husband gets so annoyed when I bring trash home. I mean, it probably is crappy and broken and doesn’t even work, right?!! Finally after a month I decided I was tired of tripping on it. I dragged it to my living room and set it up once and for all – just to make sure I wasn’t storing a complete piece of trash. It works! And it’s not trash! Ya, I should have fluffed it up better for the picture (er, the bottom of it at least) but IT WORKS! This thing looks brand-spakin’ new! Someone probably bought it, used it for two weeks, and then just dumped it off at the garbage! Ga, I love Beverly Hills! 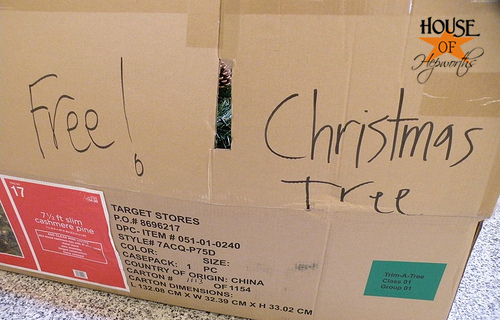 All these rich folks just throwing away hundred-fifty-five dollar trees. It even has pinecones on it. Love. And it’s soft and kinda cashmere-ish. Maybe there are a few good reasons to live here after all. (But I still am looking forward to the END OF JUNE when I move back home). Pardon my complete rambling on and on. I get in a gabbing mood whenever I read Dooce too much. She is so funny! You are so funny! 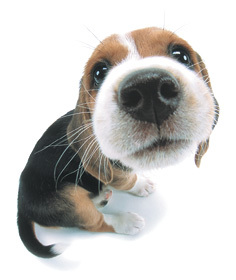 Love your blog…this post made me laugh out loud!! Good to know these kinds of info. I saw a cute acorn wreath awhile ago, but am a bit freaked out about the bugs to do it. Ew! Wasn’t aware of pinecones too. Wow, interesting experience, but I’m awfully sad to hear how so many folks happily KILL bugs they’ve decided to take from their homes (outside) and bring inside of their homes. Such terrible ends the innocent bugs must have experienced, being slowly cooked to death (or RAIDed to death, or bleached to death, etc.) Kind of sadistic, don’t ya’ll think? We’ve always just put our outside finds in a big bucket of water (outside) and let the little critters float up and crawl out to find new homes. They’re always very cooperative in moving out of their old homes. My bug loving children never want to go back to your blog again… but I shall let it slide, especially since I’m going to use your excellent instructions for the curtain rod this weekend! That’s a very nice and respectful way to put it! That’s a very nice and respectful way to put it! Good job! Really you have nothing better to do than critics people all day or what? Bugs..in pine cone? Ewwwwwwwwwww! You cracked me up about the baking times!! Burnt pine cones…maybe all the new rage!! I brought in some driftwood and placed it on my coffee table. The next day I noticed some rather large black and red ants coming in and out of it!! Ack!! I took it back outside and left it there. You can never be too careful! Love your early Christmas present!! Hahahahahaha! Heebie Jeebies and rich folks throwing away Christmas trees! Hysterical! I laughed at all those pine cones in your oven, and yes, that pic of your daughter with the pinecone looked exactly like the dog. The pinecone that is, not your cutie-patootie! Yeah, I learned this lesson the hard way. Last fall I loved all the pics bloggers were posting about apothecary jars filled with acorns. Hmmm, I just happen to have a huge oak tree in my front yard. The light bulb went off over my head and out I went to collect my free decor items. I brought them into the kitchen and spread them on a towel to dry. When I came back a hour or so later, little white worms were coming out of them! Yuck! I threw away towel and all!! OH MY GOODNESS!!! My mother-in-law tells a story where my husband brought the acorn home and the whole hallway floor was worm loaded. Cringe every time! I would have tossed it all to! OMG this is what happened to me! My daughter and I took a nature walk around the yard and spent at least an hour collecting the “pretty” acorns. We filled a hurricane vase with them and then a couple days later I looked and almost broke the vase in my horror of finding all the worms. It was traumatic. I bolted out the back door and slung the contents out of the vase off the back deck into the woods. Gives me the heeby geebys just remembering it. I wonder if I could have baked the acorns to kill the bugs. 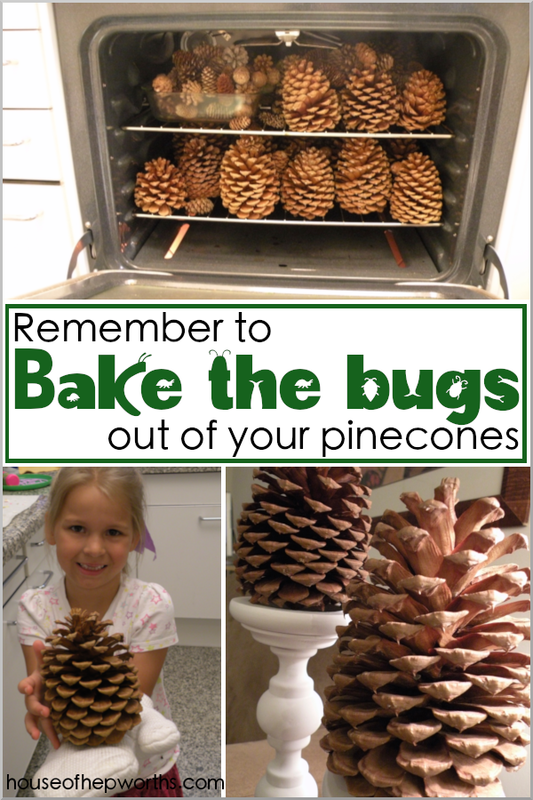 I LOVE the idea of baking pinecones to kill the bugs. hahaha! This post gave me a laugh! I had no idea you could bake pinecones to preserve them! I have to admit I have pinecones out in my family room now even though it’s spring. They look cute! Hahaha, this post is too funny! And EW! Bugs, worms, etc. in free nature decor is not cool. At all. Next time I find some cool twigs to spray paint or something I’ll definitely bake them first! Bugs out = okay, Bugs inside = no way! 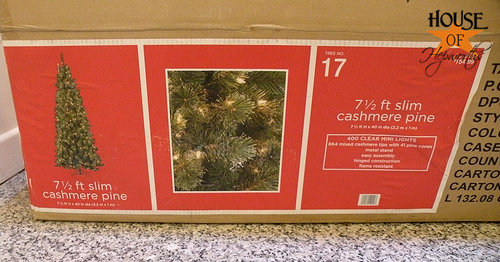 And ohmygosh, I can’t believe you found a 160$ tree in the trash! When I lived in an apartment in college I would dumpster dive all the time! I found so much great stuff – DVD players, office chairs, desks, entertainment consoles (found an 80$ Target one! ), VCR players… all sorts of stuff that students would get rid of at the end of the semester because they had to move. I loved every second of it! You know what they say, “One man’s trash is another man’s trasure”. So true. 🙂 Enjoy your bug-free pinecones (1 word? Maybe?) and your free dumpster tree! I decorated with acorns from a Martha Stewart blog. She failed to mention anything about debugging the acorns beforehand. Not appeasing conversation piece sitting on my coffe table! The picture of the oven crammed with pinecones is just the best! Great, funny stuff. I’m jealous. Great find on that tree. I love the live ones, but for free, I’d snach it up in a minute. Hi Allison….FREE is one of the niest words! You did well!Thanks for linking up to Thrifty Thursday! I have never heard of baking pinecones–you learn something new every day! You are so lucky-what a find! WOW! I need to come to your neighborhood to find stuff like that lol Glad to know about the pinecone thing because I didn’t know you should bake them. Wow what a great find and tips on the pine cones. Thanks for linking up to Saturday is Crafty Day! Good tip about baking the pinecones! I had a bunch of acorns I picked up to decorate with this Fall. Luckily, I had read about killing the critters and decided to put them in the freezer. You can either freeze or bake them. I left them there for a few days and then filled up my apothecary jars. Now, here’s the tip: Do not put frozen acorns in a jar with a lid on top for weeks! The acorns got to room temperature and molded, because of the condensation! Oops! Wow! Thanks for the tips for pinecones! Great tip. Although thinking about pinecone bugs is making me all itchy. I laugh at your comments about Southern California. I live in a nice area (the small run down house, in the nice neighborhood syndrome). We have the best thrift stores around. The rich people, nearby, donate amazing stuff. My daughter got a top for 99 cents and it was originally $80 (it still had the price tags). That was at Good Will!!! Let’s just say that she’s gotten some great clothes and I’ve gotten household stuff. Hmmmm I need to go Thrift shopping again soon. I loved it also!!! I am an acorn nut. One year dh and I found the freakin biggest acorns and we picked up a ton of them. Got home with ’em and cleaned them up a little, brushing dirt off them. I went wild and crazy with glitter glue and they were amazzzing! I did not think about the critters until my house was full of all kinds of creepy crawlie critters!!! I found out after the fact that you are to bake them like you baked the pinecones. The next time I got acorns, I just baked them last thing in the evening for 45 min. in a 200 degree oven and then turned the oven off and let the acorns stay all snuggly in the oven till the next morning. No bugs! I just found your blog through a pin on Pinterest and got hooked immediately. Can’t wait to read more from you. So glad to hear. I hope you enjoy it all! Thanks for stopping by. I have that same tree! It’s so pretty when its decorated and I put pinecones on it also. You can always string the pinecones, smear them with peanut butter, roll them in birdseed and hang them outside. Maybe you won’t have to bake the bugs out after all — they’d be a little extra fiber for the birds! The “honkin’ pine cones + bugs” story (ha ha) brought to mind my shell-picking misadventure on the Biloxi shore one summer vacation. I put the bucket of pretty shells on the hot-as-blazes back seat before my husband and I continued driving. Hours later, we were startled by a little sea critter who crawled out, rather noisily, gasping his or her last. Awww . . .
Before giving wild birds peanut butter, mix corn meal into it so they won’t choke . . . and they will love to nibble on your (UNsalted) popcorn + fresh cranberry garlands after Christmas – we discovered this one year after putting our fresh tree in our Georgia back yard after the holidays . . . cheers, my dears! Talking about critters. My daughters went and cut fresh trees for Christmas. Beautiful, fresh and the aroma was fantastic. One week later zillions of small spiders appeared everywhere in their house. The trees were loaded with spider eggs, so beware and check your fresh trees out……….oh and the trees became outdoor decorations……..
OMG this freaks me out! We usually cut down a tree each year, but now I’m totally freaked out about it. Love your post! Your in between thoughts crack me up because that is how my brain works too! Total score on the Christmas Tree. Thank you. Yes, I discovered some critters in my car, my only guess is that they came from the pinecones my son brought into the car. They were also eating the left over french fries he left in there. Gross. Now I know what to do, thanks. Oh no! That is horrible. I got sand ants in my car once. It was a nightmare. Getting bugs out of a car is the worst. Speaking of bugs, I used to work at a self storage place, and when I was showing someone an empty unit, we got attacked by fleas. By the time we figured it out, we had tracked them into the office. I had to go to the store to buy flea bombs so I was sure there were some in my car (our socks and shoes were covered in them, gross!) I decided to bomb my car that night, just to be sure I got them all. It works! And on the plus side, every square inch of my car got cleaned the next day, lol. I’m a new follower and love your ideas! Thanks for sharing them. I want to go pine cone hunting, I love them! I do have to say, if you take them from state or national parks, it’s illegal! What?! Oh crap! I had no idea! And here I am admitting to it on my blog! Eek. I hope I don’t get arrested. I got these from the Mammoth Ski Resort, so hopefully that’s a privately owned park. I just wouldn’t advertise that I took them or take two hundred of them!! Allison, I love your blog. You ar a great narrator and I just wanted to let you know that even though I don’t always comment, I always look forward to opening each new chapter and seeing what you have to share. Thank you for always being a bright spot each day. I live in SC and we have A LOT of pine cones. I use them but I just let them sit overnight in a big tub of salt water with a few tablespoons of clorox in it to clean and decritterfy them. I found your blog today, LOVE it!!! I also love pine cones or is it pincecones? LOL I use to find big ones like those here in Florida, lately I only see tiny ones. I’m all for killing any creepy crawlers lurking in nature’s gifts to us, but to bake them in the oven you use to cook in? Doesn’t that leave the bottom covered with bug carcasses? A florist giving a lecture at the library told of how she filled her trunk with pine cones and on the drive home her son, sitting in the bag seat, became covered with bugs. Since then she said she puts them in a black trash bag, sprays Raid inside, ties it up and lets it sit 24 hours. Dead bugs in a trashbag would beat dead bugs in the ovenyou prepare your family’s food in any day, even if you’ve put the pinecones on a foil-covered tray. Just saw this on Pinterest. I love pine cones and have them all over my home. Luckily I have never had an issue with bugs but what a great idea! I just got home from a week in Mammoth Lakes. We go every year in the summer and have been going for over 18 years now. Sorry about your ski accident back in 2010. In the summer Mammoth Lakes opens up to some awesome lakes and cabins that are all covered in snow in the winter and inaccessible in the Winter. Oh my word, I learned the bug lesson the hard way when I brought home acorns, washed them in hot soapy water, and left them on my counters to dry overnight. The next morning there were maggots crawling out of them. EEEK. Clorox saw a sharp incline in profits that day, let me tell ya. Good ole Texas and all of its disgusting bugs. I completely gave up on bringing nature inside after that, but I love this tip. I need to find me some giant pinecones. Girl! You are too funny! I never read beyond what i want to know but i couldnt stop reading and was hoping for more! Never thought of bugs in pinecones. But now i know to bake em before i use em. Did you happen to sprinkle a bit of cinnamon over them?Sure does make a house smell good.And Lingers awhile in the pine cones. Loved your Tale.Wish I could find a tree like that.I work at Target and still can’t afford one. I didn’t sprinkle cinnamon but that would be so delicious! I must try that now. Great tip! We totally lucked out on that tree. Half the lights have since gone out but it gave us a good 3 years! HAHA, I was laughing out loud at the burnt pine cones. What a joyful read. What temp did you bake the cones? I’m afraid I’ll burn them but certainly want to make sure all of the creepy crawlers are taken care of. Thought I was only going to read a paragraph, at the most, on bug killing, but honestly got hooked on the blog and had to read every word. Didn’t know I would find something so entertaining…..and frightening. I’ve had a bag of pinecones sitting on the kitchen table, for over a week. Never thought I might infest my house for the holidays! Haven’t seen any bugs, yet, but will do a little baking tomorrow. I also have a good size container of acorns, that I re-glued on the caps that were loose. Guess I’ll have to check my good intention …..”nature’s bountry” …..in the morning, too. I alway used the ….”Raid and the big old, black garbage bag technique”, in the past, but I’m up for new things. The smell of Raid isn’t quite the scent of Christmas, I look forward to smelling in the house, so this will be a wonderful change. Wow! So glad I read this! I too brought home GIANT pine cones from Mammoth Mountain (picked them up this winter) and will definitely give them a cookin. Question for all. Instead of using my oven, can I accomplish the this task using my outdoor gas grill? I’m so glad I just ran across this. me and my boys were about to paint some to decorate the Christmas tree. last thing I need is bugs in my house! One year we got a live Christmas tree because it was my sons first Christmas and we wanted to go all out and make it special (like he would really remember it). well we woke up one morning and when my husband opened the front door and the light shined in we seen a bunch of little tiny praying mantis. so I freaked out and grabbed the broom and started sweeping them out the front door and I bumped into the tree and a bunch more fell out. so I freaked out and threw the whole tree out the door! ornaments and all. Needless to say I will never buy a real tree again, that ruined it for me. They must have been just hatched they were small and kinda transparent, you could only see them when the light shinned on them. But yeah thanks again for the post! Loved your stories! I wanted to let you know a possible reason that expensive tree was in the trash. 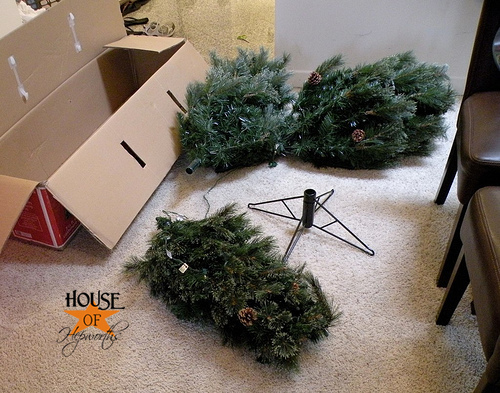 Last year I read news that artificial trees made by certain companies were prone to disintegrating and putting out a kind of dust that was hazardous. Naturally I freaked out and checked out our lovely pre-lit tree and sure enough we had the worst manufacturer. We had already put it up when I read this, and I had noticed that certain areas were sort of not the green of other areas. Sure enough, the box had lots of dust in it. We vacuumed everything, shook the tree, and kept it up while I sulked that we were going to contract some terrible respiratory disease. After Christmas we took it down, and I honestly thought it was in the trash! My husband tells me it is still packed up in the garage! I would not put it out as Free because I’d not want anyone else with little children around to risk this danger. Everyone should google it for themselves and make their own decision. The person you thought was rich may have read the warnings. Sorry. too funny and too true! Plus Squirrels eat pinecones and they are really rats with tails so we don’t want their germs on our beautiful pinecone projects. Your post reminded me of a sad time in my life when I was in high school doing what I thought was a winning science fair project. I took a real horses hoof–don’t ask how or where I got it from–and I put push pins in various places and tied yarn to tags on poster board that said what the official name of that part of the hoof was (frog, etc.). Day of the Science Fair, everyone standing around my project, gagging. I knew it was gross, but not THAT gross til I pushed my way proudly though the crowd and saw that my wonderful project was covered in flies and maggots. This was long before The Body Farm topic was in vogue…so I got an F.
Just found your blog today, you guys in the U.S. don’t know how lucky you are to be able to make all that wonderful stuff out of pine cones and acorns we don’t have those kind of trees here in Australia, just gum trees, millions of damn boring gum trees. Loved your blog and will have a go at the cinnamon thingy but it may entice me to jump in the car and rush down to the nearest patisserie for a latte and chocolate eclair. Are you concerned about dead bugs in your oven? My husband would be furious if he knew I had done something like this. Amazing! Is it 200 degrees F or C? Your so darn cute.! If everyone had an attitude like yours, this world would definitely be a better place. Thanks for putting the sunshine in my mourning. I’m so glad you posted this about baking the bugs because I’m going to have nightmares from my old collection. Maybe because I spray painted some of mine, I killed the bugs, hope so. 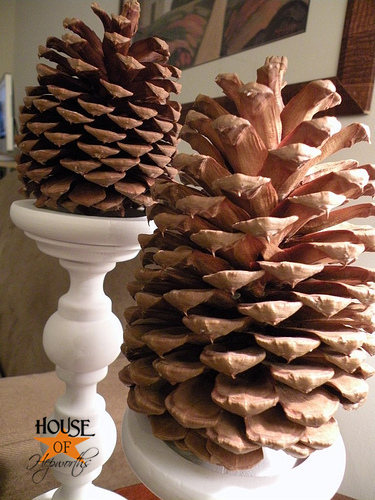 Have you used your pinecone yet in a craft project? 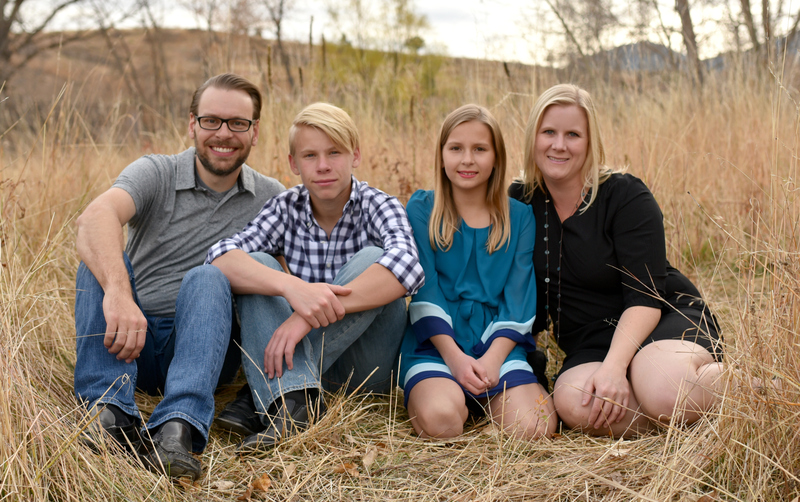 Allison, I know I’m commenting years after your initial Baking Pine Cones blog (and yes, I think it is two words but either way the spelling police are not going to come after us) but I loved your blog and the accompanying comments were just about as good. The stories reminded me of an experience we had. We had bought a couple of lots somewhere east and south of Central Texas where we would go and camp out (and get horrible poison ivy infections). There was a lot of dried wood there that looked just perfect for our fireplace back home, so we loaded up the trunk with it. All was well until we burned the first batch. Huge, I mean HUGE, black ants came pouring out of the wood. Those things were about two inches long. We may not have big pine cones in Texas but we have really big wood ants, apparently. We had to sit by the fireplace with a shoe and smush the ants as they came crawling out to keep our house from being a big snack for the big critters. Never did that again. Thanks for all the great stories. Hooooo-llllly crap! That has me speechless! Yikes! Thank you. So glad I found this. Never would have thought to bake “the cones”. Sorry family, no dinner tonight. Need these suckers to make Christmas Deco’s for the office party. Can you imagine the creepy crawlies comin’ out of my fabulous center pieces on the table we’re going eat from? Uhh. . .no. Man, wish I cld. find some of those watermelon-sized cones, but I live in Lost Wages, NV. I was lucky to find any the size of my thumb. Very fun reading, and great ideas in the blog. A cousin mine sent me a slab of an old log from a house built in 1846 by one of our ancestors, John Ryan of Morgan County Alabama. Another cousin (an artist) did an oil painting of the same house. My plan is to mount the piece of log, add a plate beneath it, and then place it beneath the hung oil painting. Now my concern is should I bake this log!?!? I’m thinking no, it might start a fire, or crumble etc. So, I finally have decided to put a sealer on the log. Poor little Alabama bugs will remain inside. Wish me luck! Absolutely looooove this post! Googled best way to dry out pinecones and your article popped up. Have to say I never thought about bringing the outside nasty bugs inside my home!! Man oh man am I glad I read this!! I’m from TX and live just outside Arlington and we went on our yearly pinecone scavage this morning! (First time since I was a child). Bakin’ out them critters lol! Merry Christmas!! Super simple AND clever! I love it! I am new to this pinecone collecting hobby. I read a post that described cleaning the pinecones with mineral spirits first to get rid of the sap. White Northern Pines have tons of sap on them. Well I got the pinecones clean, but I got sap everywhere else. If I bake the pinecones will it get rid of the sap? Does this apply to sticks and bark also? I read freezing them is another thing you can do, I’ve had a bag of sticks and bark in my freezer for a couple of weeks now waiting to use them. Should I bake them also to be sure? I figured by now anything in them are long dead. 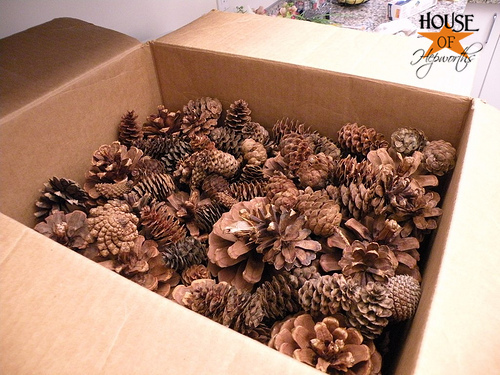 What do you think about putting pine cones in the freezer overnight to kill bugs? My husband says it will work but I wonder – don’t cold climates freeze and does that kill the bugs? We are in FL so we rarely have freezes here.